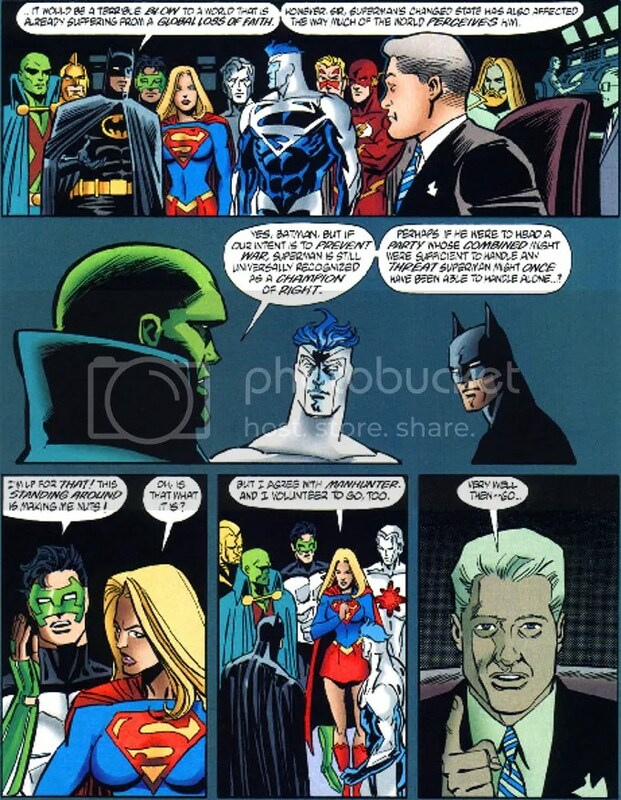 Genesis was a comic book crossover storyline that ran through a self titled, four-issue, weekly mini-series and published by DC Comics in August 1997. 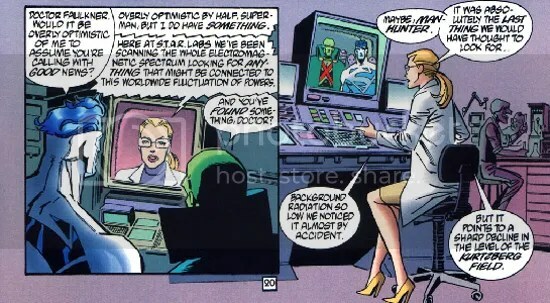 The series was written by John Byrne and drawn by Ron Wagner and Joe Rubinstein. 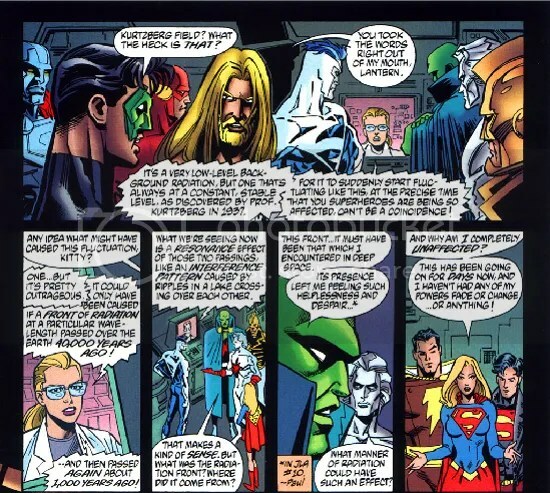 The series was critically panned for the lack of long-term effects on continuity and retroactively changing the nature of the powers of various superheroes by suggesting that all superpowers were actually manifestations of the Source in the form of a Grand Unified Theory. 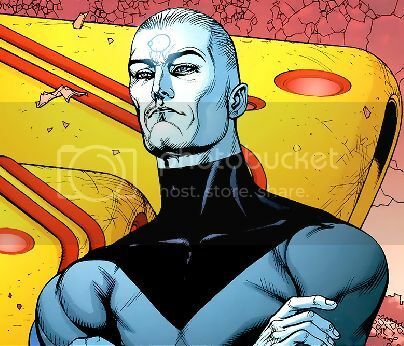 The storyline centers on the New Gods of New Genesis and their enemy Darkseid and involves all of DC’s super-powered characters. 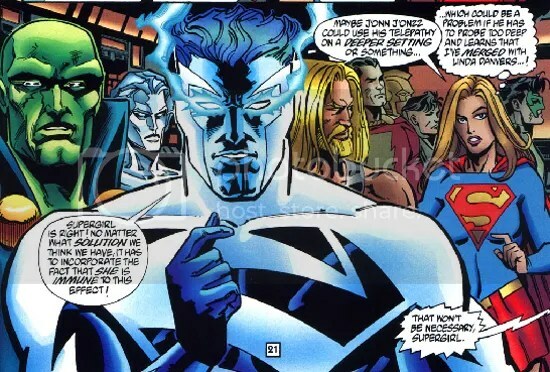 The storyline introduced the concept of the “Godwave”, an interstellar phenomenon that, on its first pass, created gods on various planets through the universe, such as the Greek, Egyptian, and Norse pantheons on Earth. The Godwave then reached the edge of the universe and bounced back, creating superhumans on its second pass. The series focused on how the wave threatens reality when it rebounds back to its starting point on its third pass. 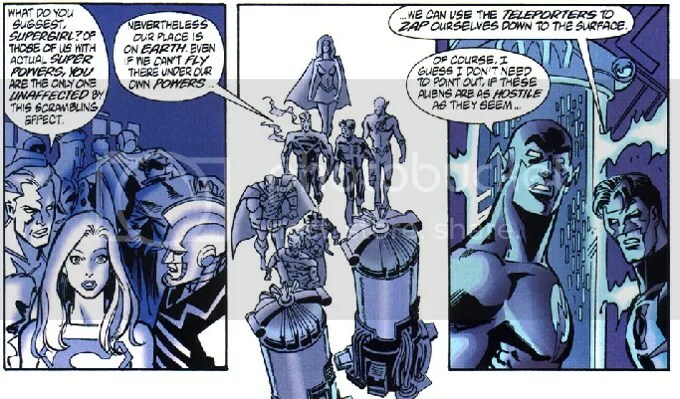 Darkseid attempts to seize the power of the Godwave, which disrupts the abilities of various superheroes, either neutralizing them or drastically altering them. The wave also had the after-effect of making humans feel like something was missing. Some simply think it’s a case of the blues, while others despair so badly they commit suicide. The heroes of Earth and the New Gods of New Genesis battle to prevent Darkseid from accomplishing his plans. Darkseid’s forces again stage an invasion of Earth before travelling to the Source Wall to confront the heroes. 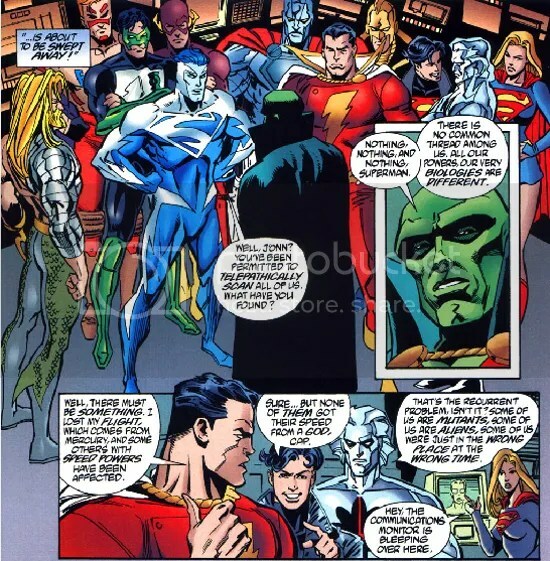 In Genesis #1 and Genesis #2, Captain Atom is hanging out with that weird electric Superman, the one-armed Aquaman, and others (and President Clinton) with not much to do except spout lines that could be attributed to anyone.